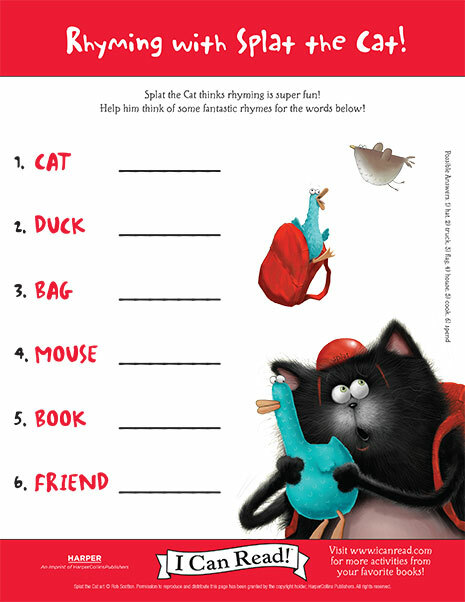 Splat the Cat thinks rhyming is super fun! Help him think of some fantastic rhymes for the words. 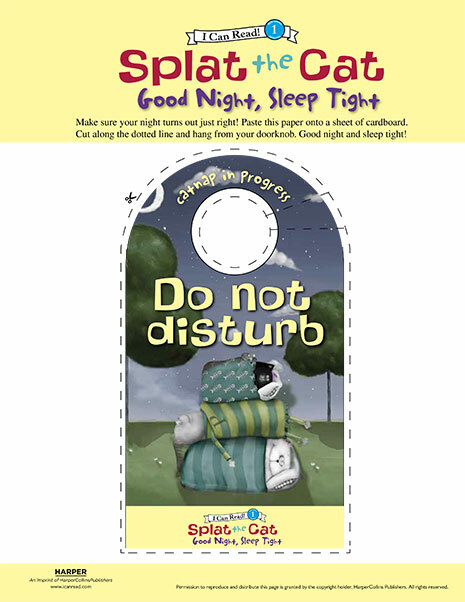 Download this doorhanger from Splat the Cat: Good Night, Sleep Tight. Paste the paper onto a sheet of cardboard. Cut along the dotted line and hang from your doorknob. Good night and sleep tight! Splat the Cat wants to break in his new skates, but the rain outside won’t abate. 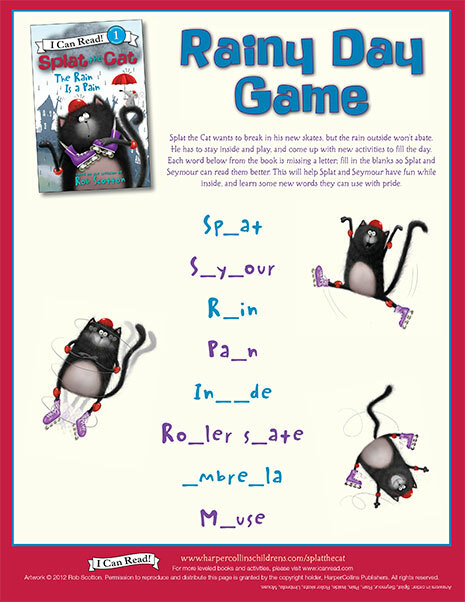 Each word from the Splat the Cat: The Rain Is a Pain is missing a letter; fill in the blanks so Splat and Seymour can read them better. 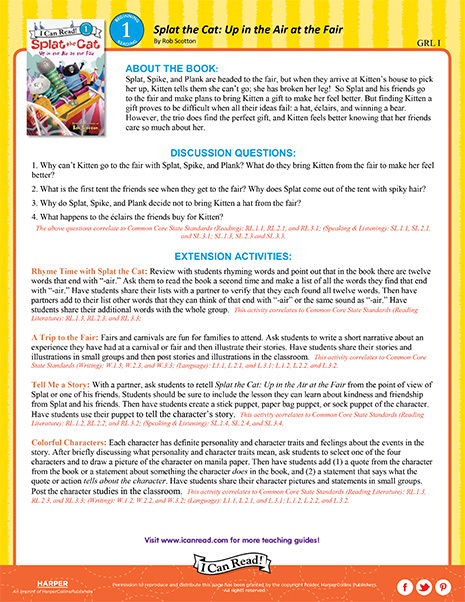 Download a free Teacher’s Guide for Splat the Cat: Blow, Snow, Blow, a Level 1 I Can Read! book by Rob Scotton! 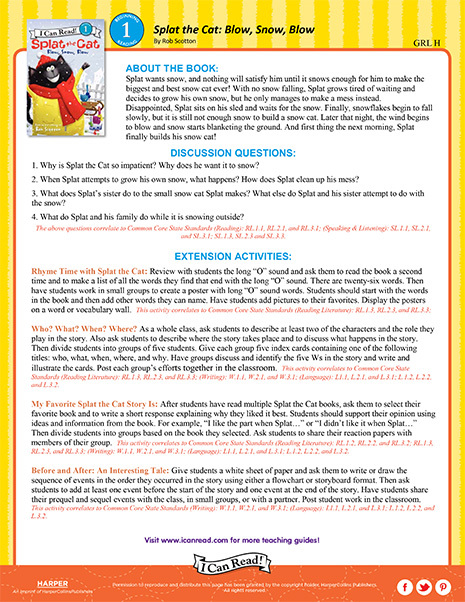 In Splat the Cat: Splat the Cat Sings Flat, Splat the Cat is learning how to sing. Splat has mixed up the lyrics! 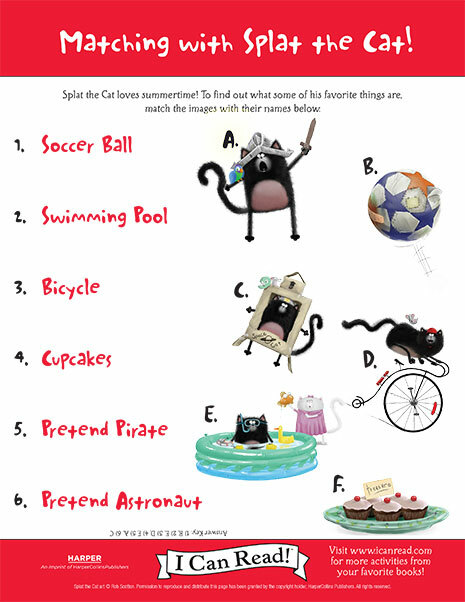 Can you help him unscramble the words? 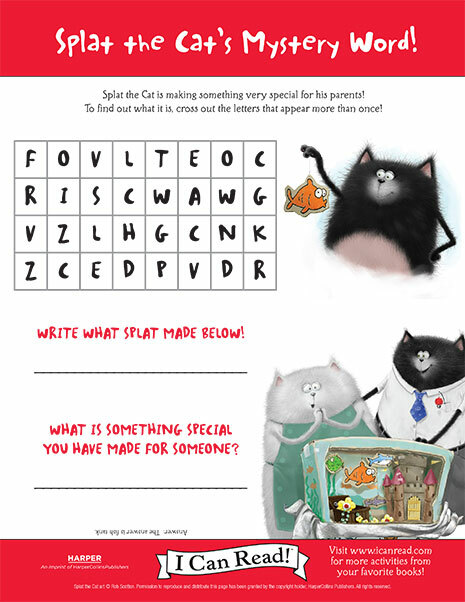 Splat the Cat is making something very special for his parents! To find out what it is, cross out the letters that appear more than once. 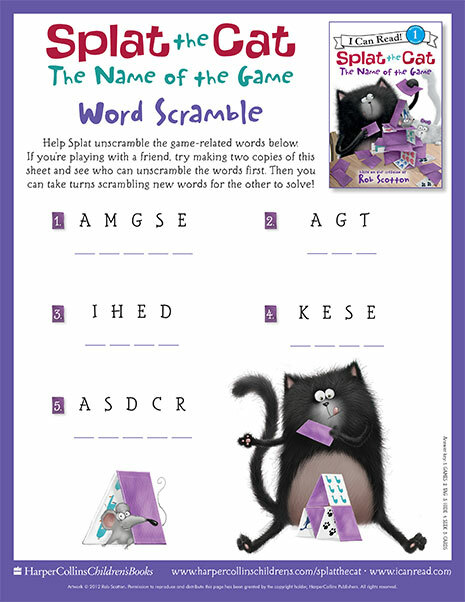 Help Splat solve this word scramble with these words from Splat the Cat: The Name of the Game. 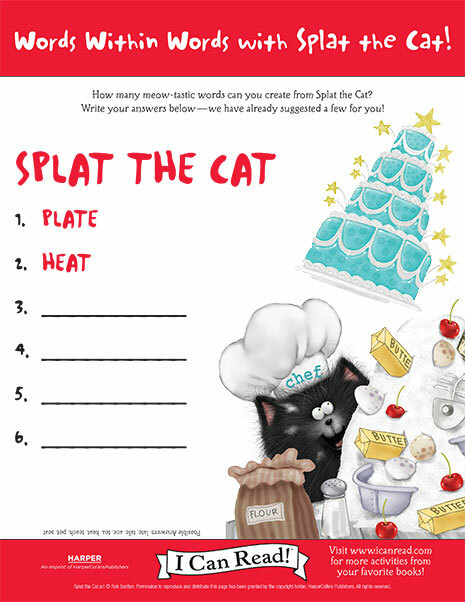 How many meow-tastic words can you create from Splat the Cat?